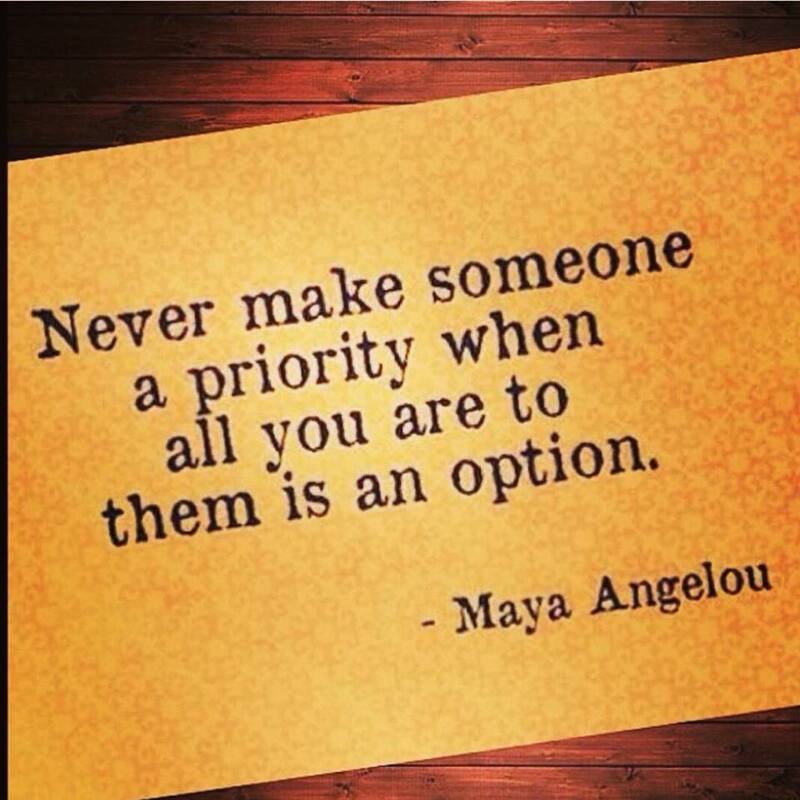 I’ve found that Maya Angelou’s sayings pop up when least expected and most appreciated. I had been struggling with a personal dilemma and seeing her words on my FB page clarified the issue for me in that striking way that sudden insight can cause a connection between your brain, your heart, and your gut at precisely the same instant in time, producing a lightning bolt of truth. And there I saw my name, scribbled there by none other than me. I reached for my mental eraser and scrubbed my name off the line. And instantly a flood of similar applications flashed before my eyes, each and every one listing my name in one of the required information fields: Beloved mother, favorite grandmother, valued employee, trusted confidant, and BFF. Moral of the story: Never sign up to be optional when you already are the real thing.